A sturdy, but still comfortable boot, the Adidas Terrex AX2R Mid GORE-TEX® Hiking Boot is perfect for terrain ranging from snow patches to rocky trails. The mid-cut design offers a modern look that still provides ankle support. GORE-TEX® lining keeps your feet dry, while still offering breathability for a full day on the trails. The TRAXION™ outsole keeps your feet connected to the ground, and the sturdy rubber provides grip even on wet surfaces. 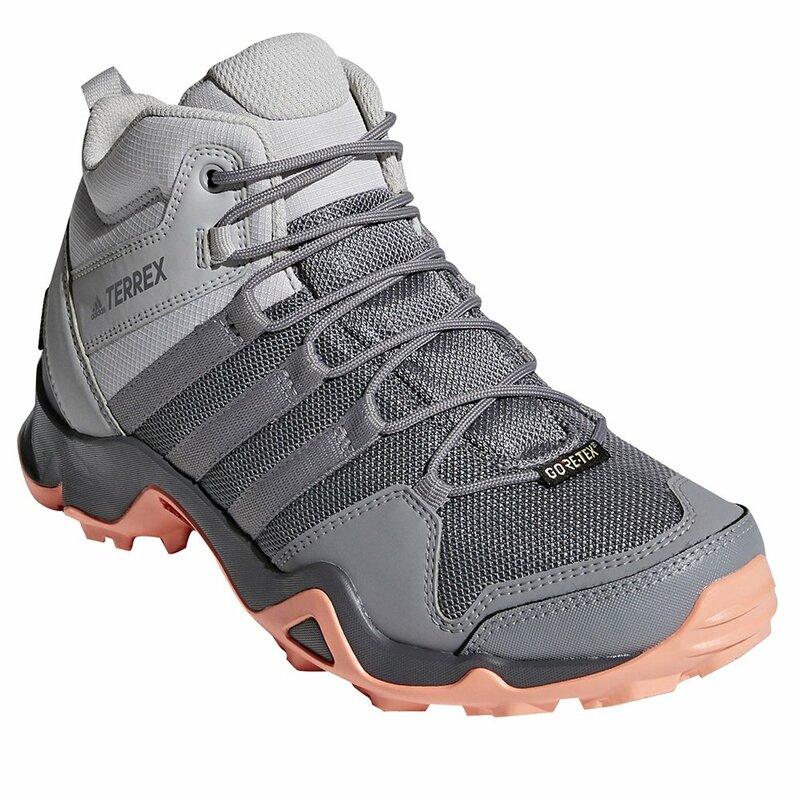 Designed for rugged terrain, the Terrex AX2R Mid is a great fit for those looking for style and performance.